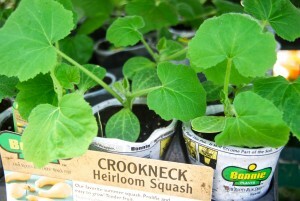 Find Your Green Thumb at the Co-op Garden Center! Williamson County residents have a world of plants and garden tools at their fingertips in the Williamson Farmers Co-op Lawn and Garden Center. Our local farmers are planting for the season, and our home gardeners are filling their homes with flowers and garden plants. Where can you find the best flowers and plants for your garden? The greenhouse in the Lawn and Garden Center at the Williamson Farmers Co-op, of course! We are proud to support local farmers. 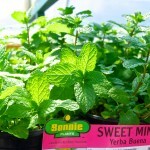 The Lawn and Garden Center is also home to vegetable, herb and flower plants from the well-known company, Bonnie Plants. 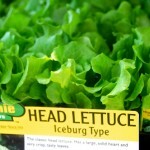 Bonnie Plants is a family owned business that began in 1918 in Alabama as a cabbage plant farm. Today, Bonnie Plant Farm is a leading expert company in growing flowers, vegetables and herbs and the Williamson Farmers Co-op works with their regional grower to ensure that you will have the best varieties for your home garden. Not only does the Williamson Farmers Co-op have the best varieties of vegetable, herb and flower plants for your home garden, but Bonnie Plants uses biodegradable cups for all their plants, preventing millions of traditional plastic plant cups from ending up in landfills. This biodegradable pot is healthier for your plant, too! No need to disturb the root system, just plant the whole thing. Bonnie Plants is as concerned about GMO plants as you are- which is why they do not grow plants from GMO seeds. You can rest assured that the plants you buy at the Williamson Farmers Co-op are healthy, sustainable and good for the environment! No one knows gardening better than farmers, and the Williamson Farmers Co-op has farmers ready to help you plant your best garden. For a small garden, you may consider a raised bed garden that will not take up too much space but will yield an impressive amount. What about a themed raised bed garden such as a Pizza Garden? 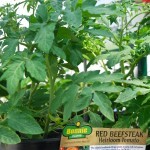 In the greenhouse you will find the ingredients: Italian herbs, peppers and Roma tomatoes. You can do as many themes as you like with plants that do well growing next to each other, such as a Salsa Garden made up of cilantro, onions, jalapeno peppers and tomatoes. The sky is the limit on garden creativity! 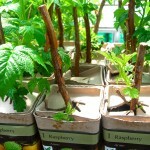 You can find all the tools you’ll need for this project in the Lawn and Garden Center and a garden expert to help you. The first step in achieving a healthy lawn and garden is a soil test from the Williamson County Agricultural Extension Office. The soil is the most important component of a garden, and you will probably need to add nutrients to your soil in order to achieve your best yield. A soil test will help you maximize the productivity of your garden by giving it the correct nutrients such as nitrogen, phosphorus, potassium or lime, all of which can be found in the Lawn and Garden Center. 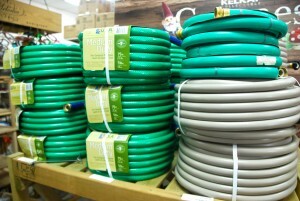 Another way to maximize your productivity is by watering your garden correctly. By using a Soil Soaker, also known as drip irrigation, you are placing the water directly at the roots where the plant needs it most. This also is a way to conserve water because water is unable to evaporate as quickly since it is not going airborne. It is better for the plants, allowing the leaves to stay dry and less likely to contract diseases, yet the roots stay wet and the soil is not compacted from an overhead watering system. 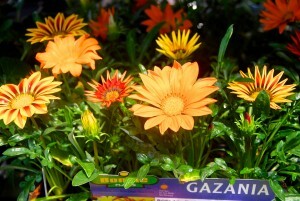 The Lawn and Garden Center is home to more than vegetable and flower plants. If you’re looking for help on creating the perfect lawn, look no further. The Co-op can help you determine what type of lawn you have and any problems you may be combating such as poor drainage, high traffic areas, bare spots or shady spots. 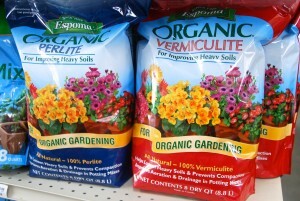 Once you figure out the type of soil you have from your soil test, our experts in the Lawn and Garden Center can help you find the right seed, fertilizer and soil conditioner. Co-op has a special fertilizer program called the Tenn-Lawn Slow-Release Fertilizers that will give you the correct analysis for your lawn and in no time your lawn will be problem free and looking it’s best! For all your garden and lawn needs, whether it’s plants, seeds, tools or fertilizers, the Williamson Farmers Co-op has you covered. 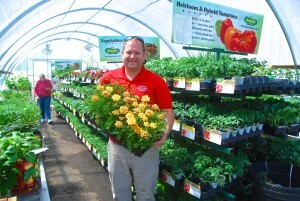 Let our farmers help you achieve a true green thumb! Previous PostWilliamson Farmers Co-op Launches New Website!Next PostWhat Are the Best Weed Control Products?